Courtney Frerichs is a bit of a fairytale story. A latecomer to our sport, she concentrated on gymnastics before devoting herself to running as a high school senior in Nixa, Missouri—where she never made it to the state track meet. In her only State final in cross country, she collapsed before the finish and crossed in 54th. Working with coach James Butler at UMKC, she found her collegiate calling as a steeplechaser, eventually placing 2nd at the NCAA behind Colleen Quigley. With eligibility remaining after she graduated, she (and coach Butler) headed to New Mexico, where she earned a masters in Community Health Education and finished 4th in the NCAA cross, leading the Lobos to the team crown. In her final collegiate track season, she captured the NCAA steeple in a Collegiate Record 9:24.41. That led her, naturally, to the pros and a landscape dominated domestically by Emma Coburn. Guided by agent Tom Ratcliffe, Frerichs joined the Nike Bowerman TC. Over the first summer, she stayed with Butler in New Mexico, making the Olympic team with a 9:20.92 for 2nd at the Trials and then placing 11th in the Rio final. She wrapped up the year with a New Year’s Eve wedding to former UMKC teammate Griffin Humphreys and a move to Portland and the coaching of Jerry Schumacher. 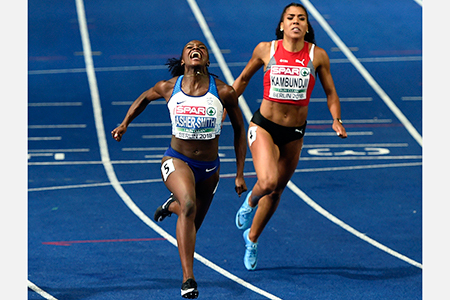 Last year, she became a global force, placing 2nd at USATF to Coburn and then joining her friend and rival on the London podium with a silver medal and a monster PR of 9:03.77 that made her the second-fastest American ever. 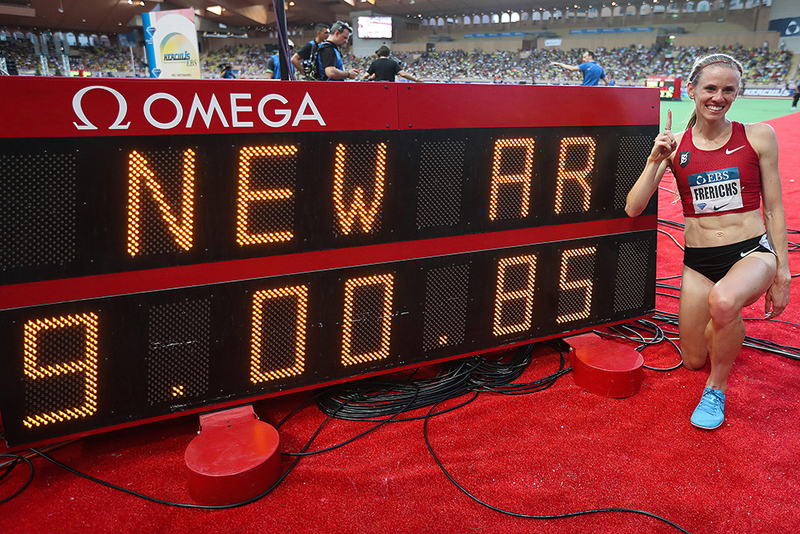 Now, with her 9:00.85 in Monaco in July, she’s the fastest American ever and No. 6 on the all-time world list. But at age 25 she’s just one of the success stories that make up Schumacher’s “Bowerman Babes.” In the last 12 months, the crew has seen Quigley PR at 9:15.97, Shalane Flanagan win the New York Marathon, Amy Cragg run 2:21:42 at Tokyo, Marielle Hall crush an 8:40.20 indoor 3000 before taking 2nd in the USATF 10,000, and Shelby Houlihan run undefeated outdoors with a stunning 3:57.34 and an American Record 14:34.45. Two years ago, Frerichs told us that she was excited about “putting myself in that professional world and seeing what can happen.” A lot has happened at a dizzying pace and now the former gymnast is the fastest American steepler ever. She recently spent some time talking with us about her journey and where she hopes it will take her next. T&FN: In the last two years you’ve gone from NCAA champion looking to try professional running to a World silver medalist and American Recordholder. Are you surprised that you made the transition so quickly to world-class running? Frerichs: Everything I’ve been able to accomplish were goals that I had for my professional career. Joining Jerry’s group and getting to work with him and Pascal [Dobert] and all the women in the group, I felt like I would be able to accomplish those. But I think maybe the timeline, it’s been a little faster than I expected. Nixa HS (Missouri) ’11; UMKC ’15; New Mexico ’16; competes professionally for Nike’s Bowerman TC. T&FN: Were there any key turning points in the last 2 years when you realized you were on the right track? Frerichs: Things really started quickly last July, leading up to Worlds. Before USA’s, things finally started to click. The transition from college to professional running—no matter who you are or where you go—it’s hard. You’re jumping to a whole new level and you’re changing. A lot of people are changing coaches and now running’s your job. I went through those same struggles I think a lot of people go through and, yeah, there were some moments of doubt. But once the steeple season came back around, that outdoor track season, I started to see a lot of progress in my work as compared to the previous year, which I had considered to be really successful. I started to see more of a light, like, I’m making a step forward. That  USAs was a really good performance. That gave me more confidence. And the Prefontaine Classic too, to be able to PR that early in the season. Last summer was when I started to gain my confidence at this new level. T&FN: What are the biggest differences between your training with the Bowerman TC and what you did before with coach Butler in New Mexico? Frerichs: The intensity and volume of workouts is quite a bit higher. I remember showing up to my very first workout under Jerry in the fall of 2016. With Coach Butler, typically if I was doing mile repeats, it was 4 x mile. Jerry, the first workout and he’s like, “OK, we have 6 x mile today at 5:25 on the grass.” And my eyes just got so big. Like, ‘Oh my gosh.’ And you know, I didn’t make it through the full 6 miles that day. But I think going out there and not just limiting myself to the 4 that I knew I could do, I was able to already see myself making the step. Volume and intensity have been a huge thing and I’m really lucky to have so many great training partners. On those days that are hard, they just tell me, “Zone in on my back. Just follow it as long as you can” and so on. It would have been way harder to make these changes in training all alone. 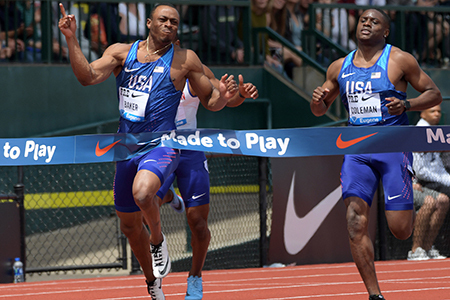 T&FN: What’s the Bowerman TC atmosphere like now with all the success your team has been having? Frerichs: They are running very, very well, not just on the national level but on the international level as well. In St. Moritz in particular, Shelby and I were doing a lot of our doubles together and I was watching her specific sessions and she was watching mine. We would go out on these double runs together and we just talked about the big weekend, which was Monaco/Heusden. We just felt ready for it and I think that is something really exciting about this year: more than ever, I think a lot of us have felt ready. Not that we weren’t ready before, but we felt mentally ready to make these jumps and set these PRs and put ourselves in these races. T&FN: Now that the dust has settled on your American Record, how do you process that? Frerichs: If I look back six years ago when I started the event, I never would have dreamed this would have happened, but it’s a testament to the coaches. I’ve been able to have their belief in me and their commitment to my progress over time. I’ve been slowly building my mileage every single year since 2012. Even under Jerry, you know, when I came in we kind of left things the same, even built it more this year. So I’ve been really lucky to have some very patient people in my corner. 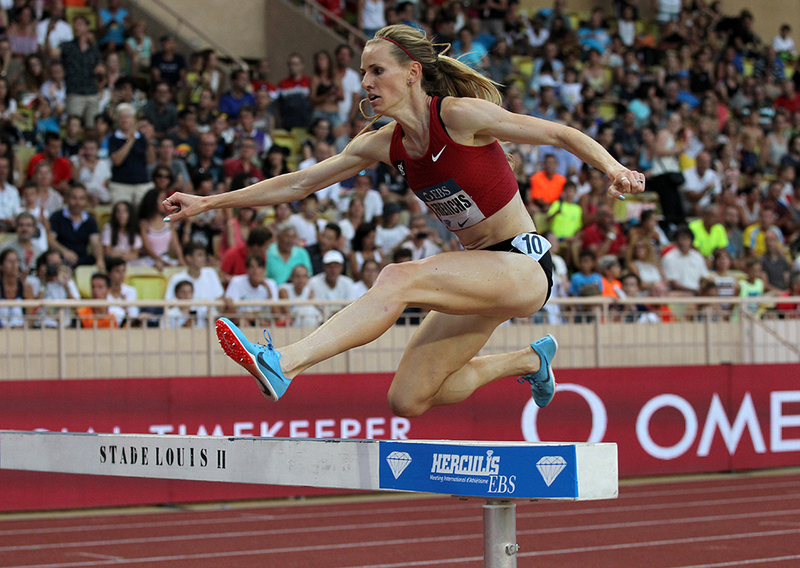 Courtney Frerichs may have just missed the 9-minute barrier in her AR-setting steeple, but she had another breakthrough this year, finally breaking 60 for the 400. “How cool was that for you?” we asked her. T&FN: Do you think you would be as good as you are without an Emma Coburn out there? Frerichs: Oh, definitely not. There’s no way. I think her doing what she’s done and just paving the way, kind of like Evan [Jager] has done. I think Evan’s been a huge factor as well. And Jenny [Simpson] did a lot of things that helped Emma as well. Being able to watch people like that really go after these big goals that have never been done before has given me a lot of the confidence to go to do it myself. Being able to be in that [World Champs] race with Emma where she went for it and she made that decision to take the lead and win the very first medal for the US in the steeplechase was incredible, and then two days later be able to watch Evan do the same thing. Those were moments that really stuck in my head that I think I’ve really learned from and try to do as well. In London I felt like I did a pretty good job of that. Made a pretty bold move to do everything I could to make sure I ended up on the podium. Watching those two has been really important for me to set big goals and learn from to form my own career. I also have Emma especially to thank for how high she set that bar for those of us that were coming up through the collegiate ranks when she was winning the U.S. champs and starting to set the American Record. I think I’ve definitely had my eye on way faster times than maybe I would have dreamed about because of watching some of the things she’s been able to accomplish. T&FN: You were so close to breaking 9:00. Do you catch yourself second-guessing how you ran that race? Frerichs: Absolutely. Oh yeah, definitely. Even when I crossed the finish line, there’s a photo and you see my face and I was so happy. I knew I set the American Record, but then I sat down on the track and kind of put my hands on my head and thought, “Oh my gosh, 9-flat?” I already started racking my brain. “What could I have done differently? Where could I been more aggressive?” Hindsight is 20/20: “Aw, I could have done this, I could’ve done that.” But it’s good to have that sort of fire: “OK, I have this huge accomplishment that I’ve done this season, but there’s more I want to do.” And so it’s been good going into this next block of training to have that big goal still there. I know that if I execute in the right race, that it’s very doable and I think it’s doable for Emma as well, which I think would be such a great day if we had two Americans under 9:00. 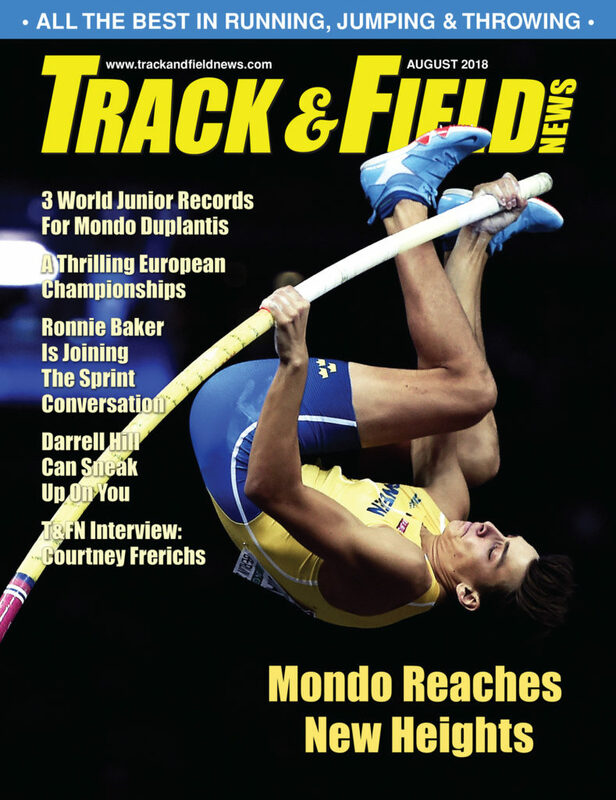 T&FN: What do you make of Beatrice Chepkoech’s new World Record? How do you compete with that in the future? Frerichs: That’s an incredible time and I am not gonna lie, you know, as workouts were going on, going really well this year, I started to move my eye toward that 8:52 record because I really felt like I could get close. Mid-8:50s this year and target that over the next few years. So when she then lowered that by another 8 seconds, I was like, “Oh my gosh.” But I think it’s a huge step for the women’s steeplechase. I think for myself I’m going to keep working on my flat-running abilities because I think that’s going to help me be a better steeplechaser. And Jerry and I have already been discussing the next step we want to take for this year is to try and be here and then kind of continually work over the next two years to close that gap. That had been the goal since 2016, to close the gap and get closer to Emma. So I’m taking that same approach and we’ll see what happens going into Tokyo. 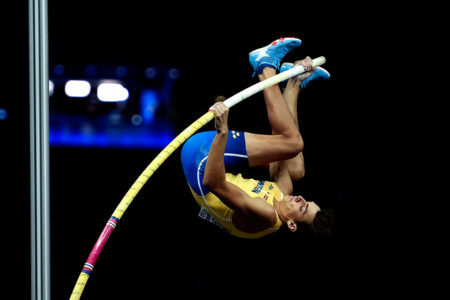 Hopefully the gap will be closer and I’ll have a chance at being in contention for gold. T&FN: Looking at the all-time list for the steeple, the company you’re in would seem to indicate that you might be ready for a sub-15 for 5000. Do you think you might have that opportunity this year? Frerichs: I don’t know. I brought it up to Jerry and he’s like, “I know…” The 5K would definitely be my other event. The 1500 I struggle a little bit more with but I would love to run a 5K, it’s been over 2½ years since I ran one. If the right one did happen to be in the schedule, he wouldn’t hesitate to let me get one in. If not this year, we’ve discussed definitely trying to do one next year because I really think sub-15 is definitely doable and I would love to join that group of women. T&FN: What’s it been like to work on your speed with training partners like Shelby Houlihan who have better sprint credentials? Frerichs: They’re very gentle with me. They’re not going to slow down by any means as they shouldn’t. But Shelby’s been great in encouraging me to try and pair up with her a little bit in the speed work, which was something new. We did one all-out speed day where I finally did attempt pairing up with her. I did blow myself up, but that was something Jerry’s been trying to get me to do basically since I joined the group. So it was a good step for me just to really test myself. It’s fun. Shelby’s been fantastic. Not even in just watching what she’s accomplished this year, but just the way she comes to practice. She’s so excited and loves workout days. And so I really try to channel her positivity and she’s always encouraging me to put the watch away and test myself and things like that. T&FN: If we didn’t know your 400 best, we would have all assumed it was fantastic because you can finish races really well. Frerichs: That’s something I think Shelby’s touched on this year a lot too. Everyone’s asked her about her kick and that comes from a lot of work on aerobic strength. I was doing a lot more aerobic work in college—long tempos, good long runs, mile repeats, stuff like that. So I was strong and then was able to finish really strong. I feel pretty confident my last 400 to 600 meters. I could sometimes get into trouble if it came down to like 200 meters or less. 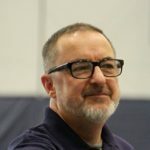 Particularly in events like the 1500, I would find that I was right with a pack of girls who would then go on to run maybe 4:10 or a little faster, but they’d have a huge gear shift with 200 to go that I didn’t have. That’s where I think this speedwork has really helped me to develop. But all that aerobic work has been just as important and that’s why I’m still in the race with 400 meters to go. T&FN: What are you looking forward to the rest of this year? 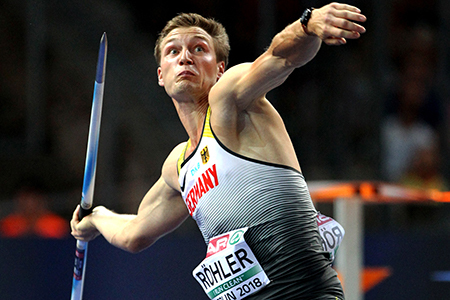 Frerichs: I have the Diamond League final on August 31 in Brussels and then I’m planning to run the Continental Cup in Ostrava. Those two are kind of it right now. We’re back up in Park City for a month at altitude leading into Brussels. Yeah. Hitting a huge goal of setting the American Record, but also running under 9-flat. I told Jerry things are going really well right now. I want to take advantage of this fitness and I want to get a really good block of training in before Brussels so that way I can really feel ready to hopefully run even faster.